Last week I answered a series of questions by Pete DeKay of Windsport, on the topic of the recent ISAF decision to reinstate windsurfing in the Olympics. Unlike our international counterparts, the opinion of American windsurfers has not been sought by USA sailing media, and Pete's interview is a great opportunity to give this viewpoint to the public. The interview will be published as part of a larger article in Windsport's winter issue. 1. What word would you use to describe your life during the 6-months that windsurfing was out of the Olympics? Explain briefly. The word would definitely be "focused." Because the political situation was so uncertain, I put a lot of effort into planning and executing those plans both before and after the Olympic Games. Before the Olympics, I was completely focused on getting as much water time as possible with my coach - I knew it could have been my last windsurfing Olympics, and that I would have to re-negotiate my funding after the Games! After the Olympics, my program was all about maximizing the opportunities that I had in learning kiteboarding and in the progression of my windsurfing skills, all on a small budget. As it ended up, I had awesome training in both! I trained at home in Annapolis, in San Francisco, and Cape Hatteras. I actually made major progress in windsurfing high-wind technique and I learned how to kiteboard. Although a tense political situation was hanging over our heads, I found that kiteboarders and windsurfers became more supportive of each other and are now much more aware of each other's sport. Attitude really makes a difference when times are tough. 2. 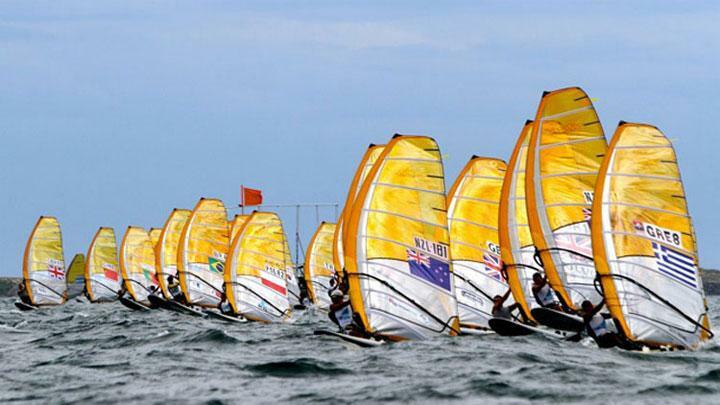 What was the biggest factor that helped get windsurfing reinstated for Rio 2016? The most significant factor was the public response to ISAF's May decision. ISAF's first vote was a political disaster, with delegates not knowing what they were voting on, no research done on the two sports, not enough representation from Asian countries, and improper procedure. 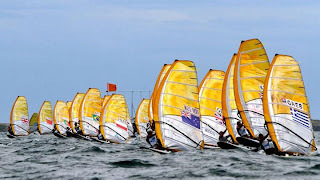 The result was outrage from the windsurfing and sailing community, with the threat of unification against ISAF. The community closely paid attention to the outcome of the decision, and a lot of sailors were very vocal towards their MNAs to amend their vote. The public response to the vote set a precedent for ISAF, and the top honchos at ISAF lost a measure of control over what would happen at the November meeting. Countries became more heavily invested in the outcome of the decision, and many came together to vote, made new submissions, and researched ISAF procedure and law regarding the voting process. The response also told the International Olympic Committee that Olympic sailing as an entire sport was in trouble and unable to govern itself, effectively putting ISAF on watch by its boss. The RS:X class' decision to file a judicial review against ISAF's decision was also a precedent. Although the lawsuit hasn't been "successful" so far and wasn't popular with the sailors, it worked because it showed ISAF that they need to take more care in their decision-making, and that their procedures need to be changed for the better. It helped windsurfing at ISAF's November meeting by opening up more voting opportunities. Small lawsuits against a richer and more powerful body are almost never successful, but they always make others take notice and in such a way, change is effected. In 2008, my arbitration against US Sailing wasn't successful, but the USOC took notice and made them change the US Racing Rules of Sailing to make redress more fair for American sailors. Four years later, my story helped bring about significant change in the way the US Sailing Team will managed for 2016. In the future, the ripples from cases such as these make waves to bring about change. 3. Explain to the “average joe windsurfer” why having windsurfing in the Olympics is important? 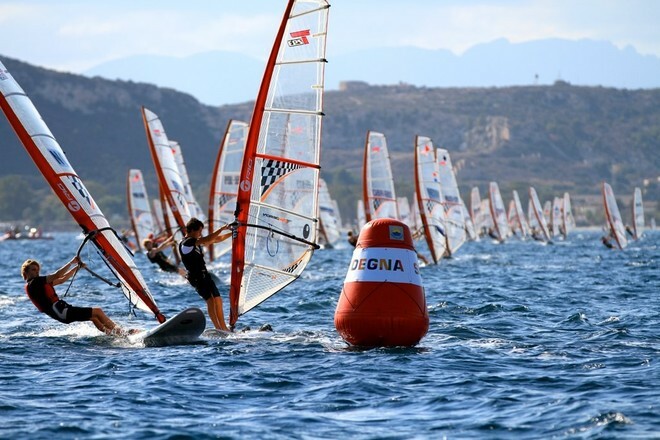 Windsurfing is the second-most popular Olympic sailing sport, after Laser / Laser Radial. The Bic Techno windsurfing class, on the Olympic pathway for youth, is internationally almost as popular as the Optimist dinghy. Windsurfing offers smaller countries the opportunity to get involved in sailing cheaply and fairly, without having to have large infrastructure for boats. As a stable one-design fleet, smaller countries can buy equipment and not have to worry about turning it over many times for the latest new development, which happens under a "box rule." It is the only sailing class that is both very technical and very physical, and it's visually interesting and fast. It is easy to launch in difficult places and sail close to shore for spectators. Most importantly for me, women's participation is really high so we have great competition! It is one of the best and most well-established Olympic classes, and having ISAF try to remove it for an unproven sport showed poor judgment on their part. 4. What do we need to do to make sure this doesn’t happen again? I believe that ISAF procedure needs to be reevaluated and that actual sailors need to have more say in how delegates vote. We also need to get more forward-thinking people into ISAF. It would be great to have an actual body of sailors involved in the voting process somehow. On a non-political level, sailors need to identify these potential problems sooner and bring them to their MNA's attention in a spirit of cooperation. I don't think there is any one way to prevent bad political decisions from being made, but working collectively to have an attitude of moving forward, creating the right vision for our sport, and implementing that vision would go a long way. 5. Is there a reason why ISAF is pitting windsurfing against kiteboarding? Can this be stopped in the future? This is a much better question for windsurfer Ben Barger (the Athlete's Rep on ISAF), who I asked to find out the real reason why ISAF pitted kites against windsurfing. He said that a submission to the Olympic Commission in May 2011 helped them think it was a good idea. ISAF thought the transition from windsurfing to kiteboarding was minimal, and refused to listen to different opinions on the matter. On a personal note, after reading the kiteboarding report to ISAF in April, my guess is that the swap was thoughtfully engineered by ISAF. Their one-sided kiteboarding report was based on one kiteboarding event, and performed at a time that no representatives of Olympic windsurfing could have been involved (during our World Championships, when we were competing for Olympic berths). The tone and one-sidedness of the report indicated that the vote was already a done deal in ISAF, that ISAF was already very pro-kite, which is why the vote may have been pushed to May instead of November. Pitting the two sports against each other was the result of ignorance and the assumption that kiteboarding is the same sport as windsurfing, or ISAF decided that windsurfing would be the easiest class to substitute with kiteboarding. The voting debacle was also partially the result of politicians who wanted to remove a popular Olympic class, replace it with a relative unknown, and then replace it again with another boat class, eliminating all boards entirely (the USA). 6. Anything you’d like to add on a personal note? I feel we are entering a better and exciting time for the sport of Olympic sailing. The recent political debacle will encourage change and cooperation within ISAF, and sailors are going to pay more attention to what happens to their sport. It also shows MNAs that windsurfing is here to stay. Already US Sailing is moving forward with ideas for a windsurfing program, which is a reversal of their previous stubborn lack of support. I've also heard of other MNAs mobilizing their programs....so get ready! We're also poised to see kiteboard course racing break new ground in participation and organization, in preparation for another try for the Olympics. I'm looking forward to a continued push for improvement and cooperation in both sports, and a big welcome for kiteboarding alongside windsurfing in the 2020 Olympic Games. The recent exposure of windsurfing and kiteboarding in the press has brought about a new beginning for these boardsports on a world level. ISAF's decision to retain windsurfing in the Olympics and encourage kiteboarding to try again for an Olympic spot made a statement to the international community: boards are here to stay in the Olympic Games. For the United States, the decision is a fresh opportunity to improve our Olympic windsurfing program, and determine how to best poise ourselves for kiteboarding's growth and potential entry as an Olympic sport. Using the proven-to-fail model from past Olympic sailing programs as a cautionary example can best prepare us for what we don't want to see happen in our program. Up through 2012, a lack of forward thinking has crippled our team management; this includes a reliance on one or two sailors to win medals, and the refusal to assist sailors, especially windsurfers, on a developmental level. The list of crimes committed by US Sailing against windsurfing is a very long one. However, the essence of the problem lay in the lack of forward thinking, and the discouragement of forward thinking, which kept our team firmly entrenched in a model successful only in the 1980s. The top-heavy program built solely on successful individuals while letting other classes starve has only crippled our team depth, culture, and knowledge base…and in turn, our medal potential. The most "starved" classes include windsurfing and catamarans, both of which have only a very small presence in the US. US Sailing has successfully prevented the growth of elite Olympic sailing by refusing to change the prevailing model of operating. The US Sailing Team's new leadership is bringing a different concept into play: using the United States' existing strengths in sailing to build a new structure from the ground up, starting with youth development. Although funding is limited, the first steps in this direction are very positive. Collaborating with our new Team leadership, the best way to develop our current windsurfing program is through grass-roots effort and as much progressive thought and inclusiveness as possible. Growing our existing youth programs is a first step, and creating racing opportunities and training camps alongside the other youth sailing classes is the next. Combining windsurfing events and training camps with kiteboarding is a way to create exposure and awareness for both sports, and will offer new insight into how kiteboarding develops alongside windsurfing as an Olympic boardsport. I gave the following quote to Pete DeKay of Windsport Magazine: I feel we are entering a better and exciting time for the sport of Olympic sailing. The recent political debacle will encourage change and cooperation within ISAF, and sailors will pay more attention to what happens to their sport, because we now recognize that when unified, we can create change. It also shows MNAs that windsurfing is here to stay, and that Olympic sailing has a strong need for more exciting and modern classes like windsurfing and kiteboarding. Already US Sailing is moving forward with ideas for a windsurfing program, a reversal of their previous stubborn lack of support. I've heard of other MNAs mobilizing their programs....so get ready! We're also poised to see kiteboard course racing break new ground in participation and organization in preparation for another try for an Olympic spot. The exposure kiting has gotten over the past few months will only help to grow the new sport. I'm looking forward to a continued push for improvement and cooperation in both sports, and a big welcome for kiteboarding alongside windsurfing in the 2020 Olympic Games.